We are pleased to offer our April newsletter for your reading pleasure! Exhibitor and Attendee registrations are now open! 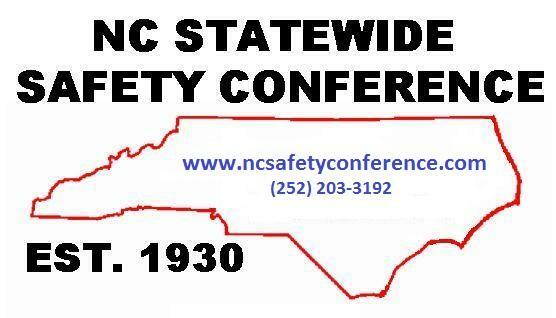 The 87th NC Statewide Safety Conference is rapidly approaching! If you haven't registered as and Exhibitor or Attendee, please do so today. We also are pleased to announce the addition of Eric Johnson and Elizabeth Ward to our group. 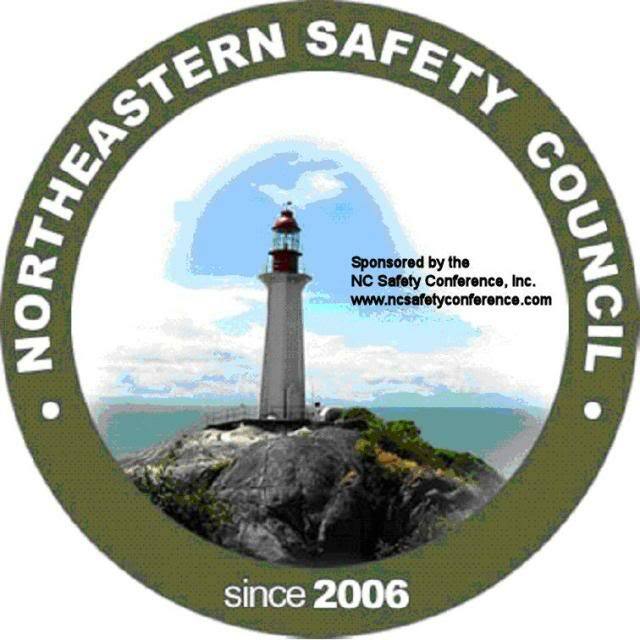 Eric is now a safety consultant and Elizabeth is our new program assistant. Mel Harmon continues to improve and your prayers for his complete recovery are most welcome! 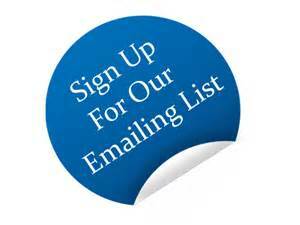 We are in the process of updating our mail lists and please be patient with us if you are receiving duplication emails. Elizabeth is working diligently cleaning up our lists! 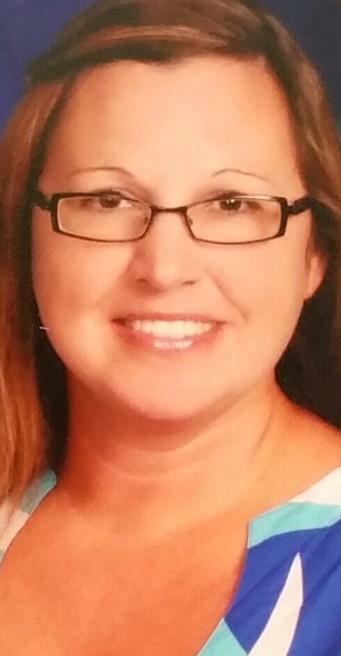 If you have any additions or updates, please contact her. 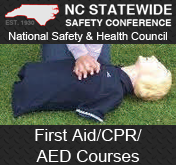 Please give us a call if you have training needs and we look forward to seeing you soon! 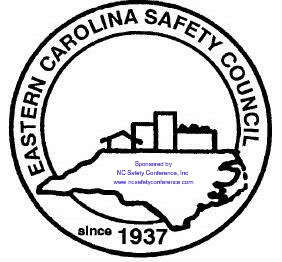 Eric Johnson has joined us here at the NC Safety Conference, Inc. 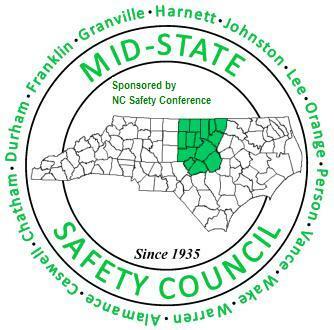 He retired from the NC Industrial Commission in January and with his retirement, the safety section has been closed. 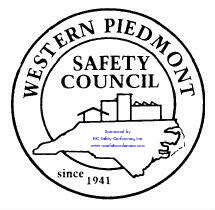 We continue to stand ready to serve all of your safety & health training needs and water & wastewater dual credit needs. Remove all filters, cartridges, or canisters. Disassemble the face piece by removing speaking diaphragms, demand and pressure-demand valve assemblies, hoses, or any components recommended by the manufacturer. Discard or repair any defective parts. 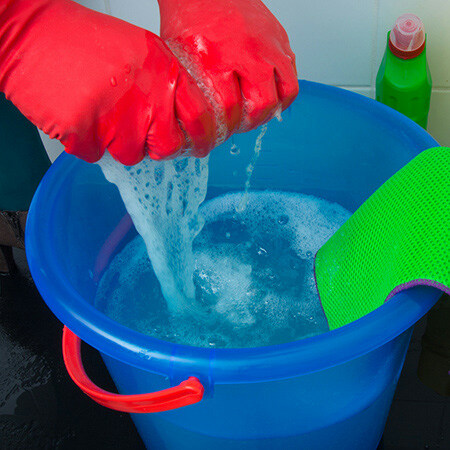 Wash all components in warm water with a mild detergent or with a cleaner recommended by the manufacturer. A stiff bristle (not wire)brush may be used to facilitate the removal of dirt. Strong cleaners and wire brushes can damage the respirator. A cleanser recommended or approved by the respirator manufacturer. Rinse all components in clean, warm, running water. Drain. Thoroughly rinse components because detergents or disinfectants that dry on face pieces can cause skin irritation. Some disinfectants may also cause deterioration of rubber or corrosion of metal parts. Dry components by hand with a clean, lint-free cloth or air-dry them. Reassemble the face piece, replacing filters, cartridges, and canisters as needed. If you discarded worn or damaged parts (for example, overstretched straps), replace them with new ones. 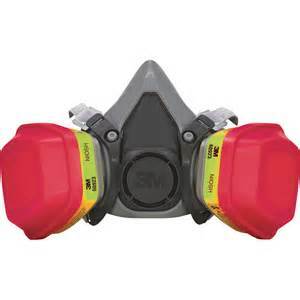 Test the respirator to ensure that all components work properly. Once the respirator is cleaned, disinfected, dried, and reassembled, STORE it out of direct exposure to sunlight or temperature extremes in such a way that it won't become contaminated before its next use. Generally, this will mean placing it inside a storage container specifically designed for the respirator. * Never mix cleaning products that contain bleach and ammonia. * Know which chemicals must be diluted and how to correctly dilute them. such as gloves and/or goggles. labeled, and don't use the chemicals from those containers. * Know where you can wash up after using cleaning chemicals. The document addresses several subjects, including safe work practices when using cleaning chemicals. 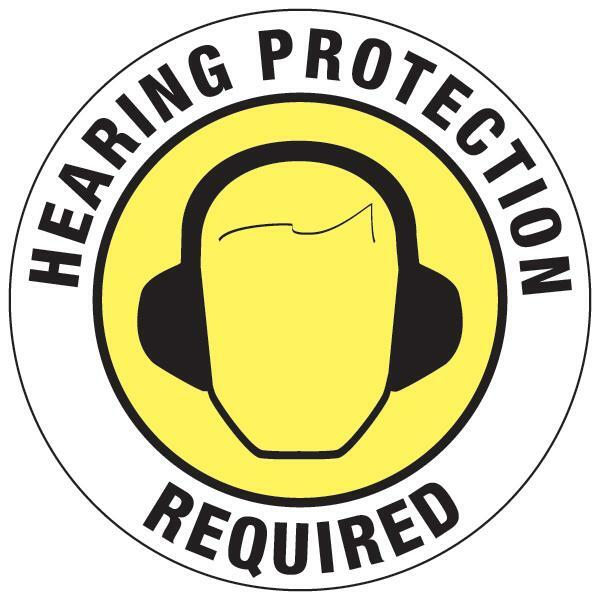 About 53 percent of adults with noise-induced hearing damage reported no job exposure to loud sounds. Almost 1 in 4 adults aged 20to 69 who reported good to excellent hearing already had some hearing loss. About 1 in 5 adults who reported no job exposure to noise showed hearing damage indicative of general noise exposure. The presence of hearing loss increases with age. Other studies show that hearing loss is associated with anxiety, depression, loneliness, and stress. Chronic noise exposure has been linked to worsening of heart disease, increased blood pressure, and other negative health effects. The CDC encourages doctors to ask patients about their exposure to loud noise and hearing issues. Since the name of their game is safety, you would think OSHA wouldn't want forklift drivers and overhead crane operators toking on a bong before their shifts. We've grown accustomed to contradictory government directives (e.g., the Affordable Care Act (ACA) encourages employer-sponsored wellness programs, while the EEOC thinks they're the devil). But when a single agency with the sole mission of promoting workplace safety suggests post-accident drug testing may make the workplace less safe, we're gobsmacked. OSHA recently issued its new rule on reporting injuries. In addition to requiring electronic reporting by certain employers, the new rule "clarifies the existing implicit requirement that an employer's procedure for reporting work-related injuries and illnesses must be reasonable and not deter or discourage employees from reporting." Sounds reasonable, right? You don't want to penalize employees simply for reporting injuries; it's what the law requires, and it's essential to preventing future workplace accidents. The first three elements of this new rule are reasonable, at least on their face. First, employers must inform employees of their right to report work-related injuries and illnesses free from retaliation. Second, they must provide a reasonable (not unduly burdensome) method to make such reports. Third, the rule adopts the prohibition against retaliation for reporting injuries that already exists under the Occupational Safety and Health Act (OSH Act) itself. This change, however, allows OSHA to enforce the non-retaliation provisions through the agency's citation process (similar to citing a workplace hazard) in addition to employees' right to file their own whistle-blower claim. The final rule prohibits employers only from taking adverse action against an employee because the employee reported an injury or illness. Nothing in the final rule prohibits employers from disciplining employees for violating legitimate safety rules, even if the same employee who violated a safety rule also was injured as a result of that violation and reported that injury or illness (provided that employees who violate the same work rule are treated similarly without regard to whether they also reported a work-related illness or injury). What the final rule prohibits is retaliatory adverse action taken against an employee simply because he or she reported a work-related injury or illness. Fair enough, right? You can discipline an employee for violating a safety rule if the violation results in an injury. You simply can't discipline the employee for the act of reporting the injury. Of course, if it stopped there, you wouldn't be reading this article because nothing would have changed. Here's the zinger. Right after offering this assurance that you can continue to enforce your legitimate safety rules, OSHA then tells you that you can't. 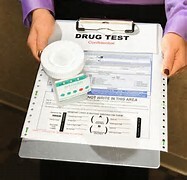 Graciously acknowledging that post-accident drug testing may be reasonable in "some situations," OSHA goes on to say post-accident testing "may inappropriately deter reporting" where drug use is unlikely to have caused the accident or the testing reveals prior use but not current impairment (such as pot smoking). Does this mean I can't drug test? Although the rule itself doesn't state that, OSHA concludes that "blanket post-injury drug testing policies deter proper reporting," and therefore, a blanket testing requirement will violate the new rule. In OSHA's view, you can conduct post-accident testing only in "situations in which employee drug use is likely to have contributed to the incident, and for which the drug test can accurately identify impairment caused by drug use." OSHA offers examples such as a bee sting or a repetitive strain injury (like carpel tunnel syndrome) to make its case for limited post-accident testing. But its reading of the new rule would go much farther than these obvious cases and require supervisors to make on-the-spot judgments about whether an accident could have been caused by drug use-likely well before they have an opportunity to investigate and gather all of the information about the accident. Our crystal ball says that this will lead to a lot of Monday-morning quarterbacking based on information (video surveillance, equipment inspection, witness statements) that supervisors didn't have access to at the time. 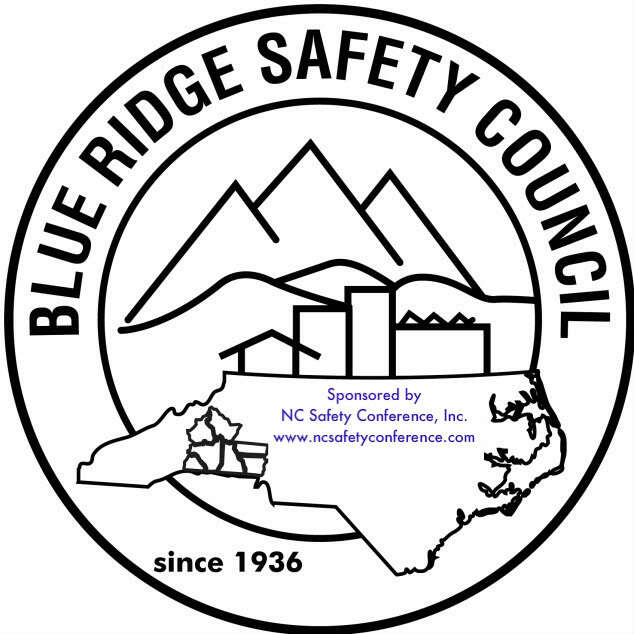 OSHA kindly acknowledged an exception for drug testing that is required by state workers' compensation laws or federal regulations (such as Department of Transportation testing). If required by law or regulation, the testing won't be considered retaliatory. 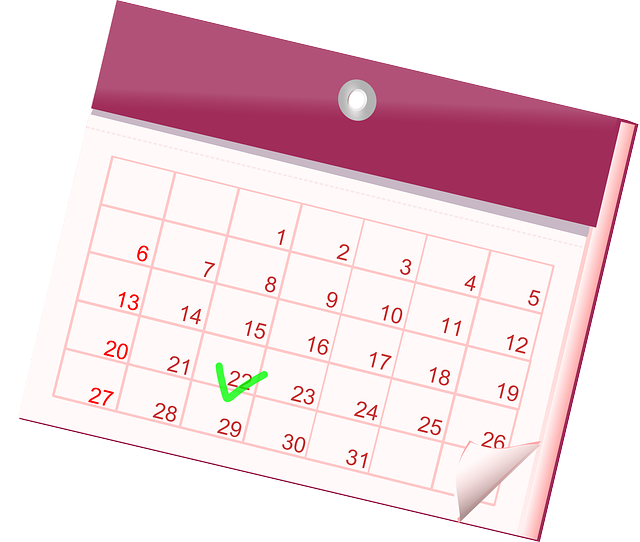 Although the electronic reporting requirements don't take effect until January 1, 2017, the anti retaliation provisions take effect August 10, 2016. While we think OSHA's interpretation of its own rule is an agency overreach, that issue will have to be sorted out in the courts. In the meantime, you should review your post-accident testing procedures. If you have blanket (automatic) testing for any accident, consider revising the policy to require testing only when there is a reasonable possibility that drug use contributed to the cause of the accident. Specific suspicion of the employee isn't necessary. Also, if possible, consider limiting drug screens to tests that measure current impairment, not just prior use. As an alternative, if you're concerned about drug use, you could also increase the frequency of random testing. Albert L. Vreeland is a founding member and Managing Shareholder of Lehr Middlebrooks Vreeland & Thompson, P.C., in Birmingham, Alabama. 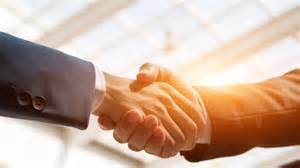 Al has represented employers in the entire range of employment litigation from Title VII, ADA, ADEA, FMLA, OSHA and ERISA to claims under the First Amendment, Fourth Amendment, and the Due Process and Equal Protection Clauses. 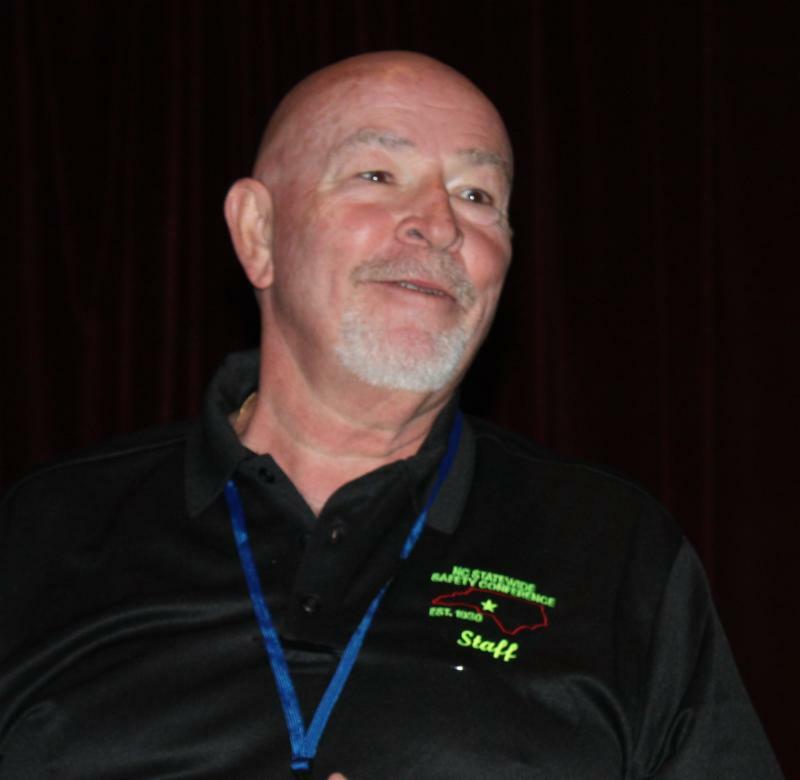 His cases have ranged from the claims of a single disgruntled employee to statewide, regional, and nationwide attacks on his clients' hiring, promotion, termination, pay and benefits practices. 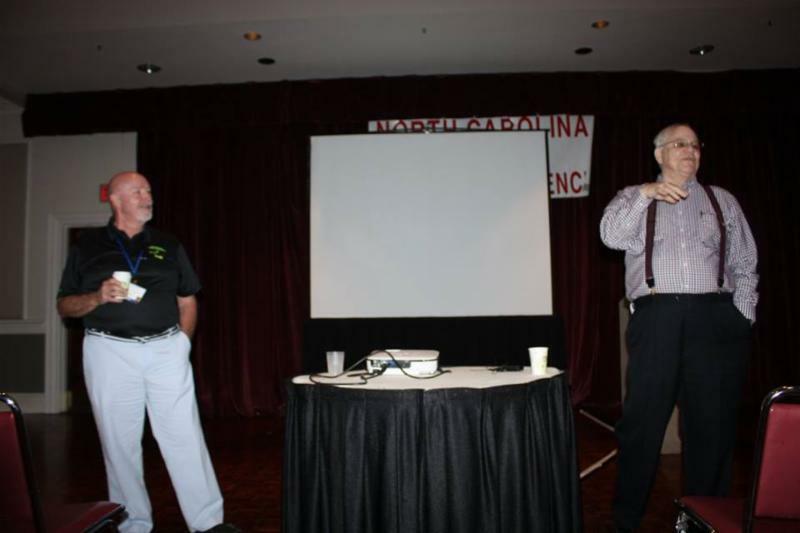 Al also defends his clients before state and federal appellate courts. 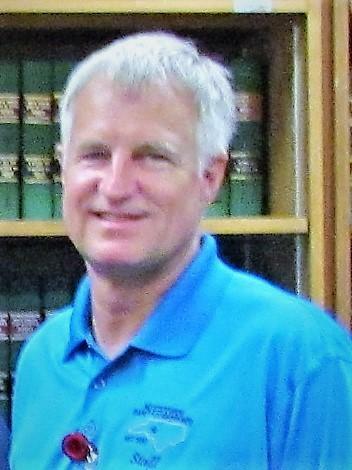 He is the editor of Alabama Employment Law Letter. Wipes contaminated with hazardous waste solvents don't have to be managed as hazardous waste-as long as you follow very specific requirements. It does matter what types of solvents are used. Before following the management procedures discussed in this article, find out from your supervisor which hazardous waste solvents in your workplace qualify for these procedures. Regardless of whether the wipes will be disposed of or cleaned and reused, the solvent-contaminated wipes must be properly managed at the facility before being sent for cleaning or disposal. Store and transport the wipes in nonleaking, closed containers. This means there is complete contact between the fitted lid and the rim, except when adding or removing wipes. 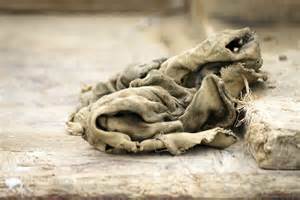 Make sure that the container is labeled with these words: "Excluded Solvent-Contaminated Wipes." Securely close the container lids and openings when the container is full, when wipes will no longer be added to the container, and before transporting the containers. Make sure that the container can contain free liquids, should they occur. "Free liquids" means liquids that are visible in the container or unabsorbed by the wipes. Accumulate the wipes for no longer than 180 days from the first date a wipe is stored in the container. After 180 days, the wipes must be sent for cleaning or disposal. -Ensure there is no free liquid in the container holding the wipes when they are sent for cleaning or disposal. -Ensure that the wipes themselves contain no free liquids before being sent for cleaning or disposal. -Manage any free liquids removed from the wipes or wipes container as a hazardous waste. The process being used to meet the "no free liquids" requirement. 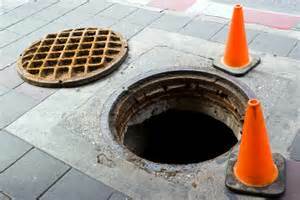 If your residence is not on a community or city sewage system, you probably have one of two common sewage systems: an aerated treatment unit or a conventional septic system. Either way, do you know how to maintain your system? Have your system pumped out at least every 7 to 10 years. False. Don't discard cooking oil, grease, paints, or other substances down the drain or kitchen sink. True. Ensure that power is always supplied to the aerator for aerated treatment systems. It's also important to clean the aerator's filter periodically. False. Unless you have been trained to do so, have a professional inspect your system periodically (every 6 months is a guideline). False. Systems should be pumped out at least every 3 to 5 years, depending on loading. True. Observe your system for problems such as slow-draining toilets or drains, plumbing backups, sewage odors, gurgling sounds, or wet spots in the yard. If you notice any of this, have your system inspected. False. Avoid septic tank additives that claim to improve performance-there's no substitute for periodic pumping and a professional inspection.